In case you haven’t noticed, I don’t really have either the time or (more importantly) the inclination just now to write anything on this blog. There just seem to be more important things to be getting up to at the moment. 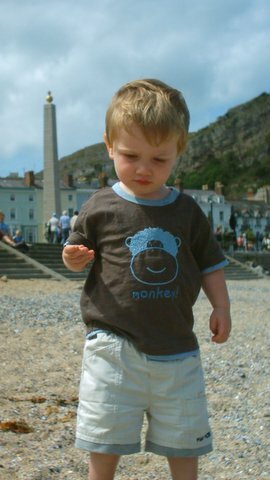 Such as spending a glorious day at Llandudno, for example, where the accompanying picture of my son was taken. It sure beats sitting at a computer, bashing out a post, I can tell you.